Transitional Monument (2004). Digital montage. Dimensions variable. Transitional Monument was made as a proposal for a public artwork. 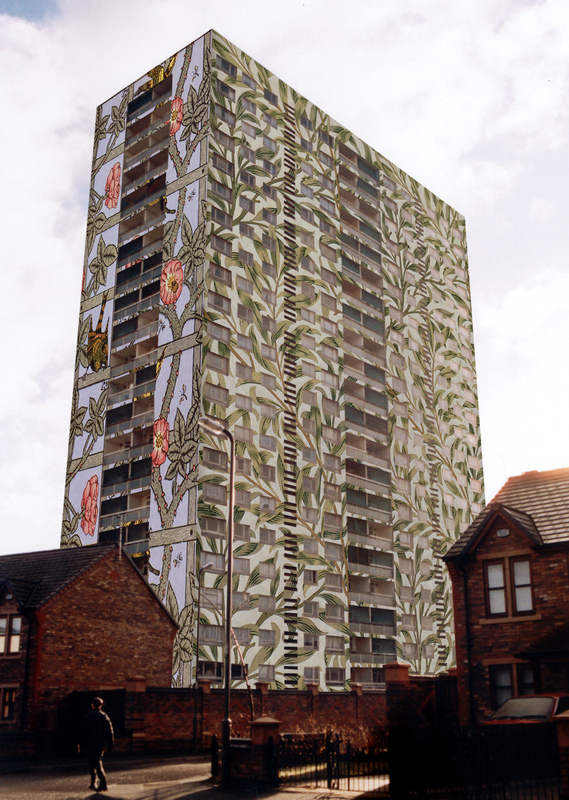 The two images show photos of a now demolished sixties tower block, Linosa Close, Liverpool, with William Morris designs digitally montaged onto the exterior. The proposal brings together the residues of the Morris designs’ utopianism and what they have now become. Conservative bourgeois interior decoration is juxtaposed with the architectural brutalism of the block that used to house many Liverpool dockers. 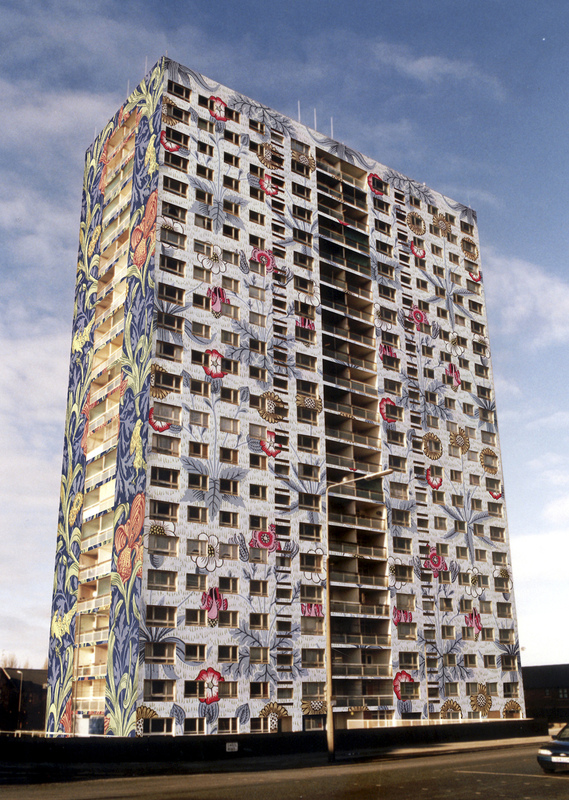 The patterns simultaneously appear to be part of the building, whilst remaining montaged onto and separate from it, turning what is normally inside outside and what is domestic and intimate, public. 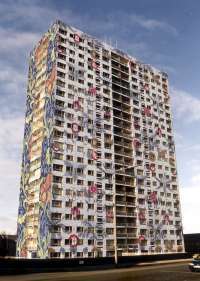 The montage proposes a monument to two failed utopian aspirations, the original purpose of the block to replace slum housing in the 1960s and Morris’s utopianism. Given that the original block has now been imploded and new housing built on the site, Transitional Monument will also remain, at least in this specific form, an unrealised project.